No matter if you're looking to maximize horsepower and torque, or you just want insane control over your truck's computer, the Hypertech Max Energy 2.0 programmer is built with you in mind. Max Energy 2.0 has tunes available to radically increase your engine's output. The power setting is designed to work seamlessly while towing, so there's not need to worry about those EGTs. Hypertech also designed specific tunes that work with some of today's most popular aftermarket air intakes. Looking for the power to control your truck or SUV's engine? This is the engine tuner for you. Calibrate your speedometer, adjust the warning level on the tire pressure monitoring system, increase the top-speed limiter, adjust shift firmness and points, and much, much more. How much more? Well, everything this bad boy does is listed in the features section, and it's a long features section. So, if you're ready to unleash your engine, and let it do what it's meant to do, then you need to check out the Hypertech Max Energy 2.0 tuner. Order yours today and light up the tires! 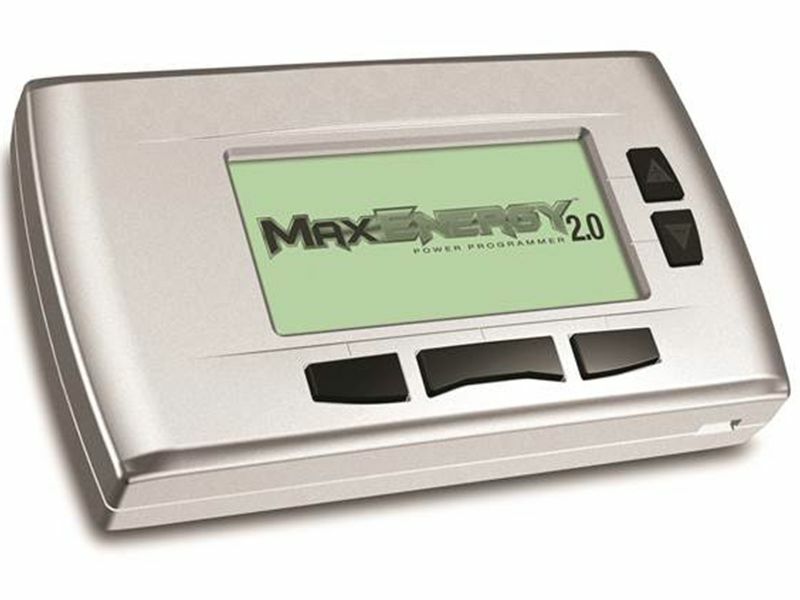 Hypertech Max Energy 2.0 programmer is simple to install and only takes minutes. Everything needs for installation will be included with your order. If you have any questions, don't hesitate to give us a call at 877-216-5446.